Registration portal for IMISCOE's 15th annual conference will open very soon! The launch of the registration-website will provide you with registration-options, but also with the conference program and all practical information on conference venue and hotel accommodations. Please keep an eye on our website! IMISCOE’s last Board-of Directors Meeting in Warsaw (1 March 2018) marked the goodbye of two very appreciated IMISCOE-members. 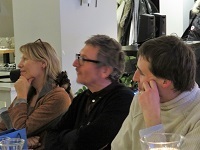 After almost 4 years, we said goodbye to Maurice Crul as coordinator of IMISCOE. On behalf of the whole network and the network office in particular, we want to thank Maurice for his great commitment and hard work for IMISCOE! In addition, the Spring-conference in Warsaw was also marked by the farewell to Rainer Baubock, as chair of IMISCOE’s Board of Directors. After many years chairing the board, Rainer is leaving the board as chair, but will stay of course involved in the network. We want to thank Rainer for his great chairmanship and hope that IMISCOE still can count on his great input in the future! During this occasion both were handed over a photobook with an impression of the last 4 years of annual conferences. 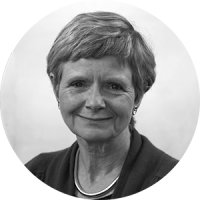 IMISCOE welcomes Sarah Spencer as the new Chair of the Board of Directors. 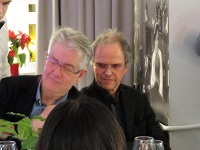 Peter Scholten will continue as IMISCOE Coordinator. 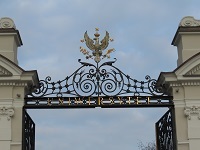 The Spring Conference 2018 was hosted by the University of Warsaw (Centre of Migration Research) and was a great success. The theme of ‘Migration and labour market: Patterns and challenges of immigrants’ labour market incorporation in contemporary Europe” was covered by very interesting key-note speakers and also very thought-provoking discussions. 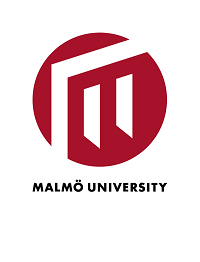 The allocation of IMISCOE’s 16th annual conference has been allocated to the University of Malmo, Sweden (May 2019). The topic of the conference is “Understanding International Migration in the 21st Century: Conceptual and Methodological Approaches”. Please keep an eye on the website for more information in the upcoming months. The IMISCOE PhD Network is working to organize several PhD workshops and events which will take place at the Annual Conference in Barcelona, 2-4 July. If you want to receive more information on these and become a member of the IMISCOE PhD Network, please subscribe to our PhD mailing list. We will shortly send out our Spring 2018 Newsletter. The IMISCOE PhD Network is growing at high speed, and more than 1000 PhD students subscribe to our mailing list! If you’re not a PhD student anymore, remember to unsubscribe. 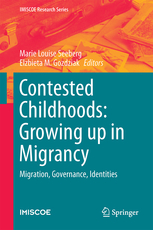 We very proud announce that the Imiscoe open access book “Contested Childhoods: Growing up in Migrancy”, edited by Marie Louise Seeberg and Elzbieta Gozdziak was selected by Choice magazine as an ‘Outstanding Academic Title’ for the year 2017! From the review: “In 10 extremely well-written chapters, these authors explore patterns of international migration, the politics and policies that drive them, and, most importantly, the effect of this transitory narrative on the identities of the migrant children themselves. … This compelling text is a must read for anyone no longer satisfied with being merely a spectator in the migrant crisis unfolding in front of the world; it will help propel readers toward informed action. Summing Up: Essential. All levels/libraries.” (J. C. Altman, Choice, Vol. 55 (1), September, 2017)”. CONGRATULATIONS to the authors and editors! International remittances, cash transfer assistance and voter turnout in Mexico, by Ana Isabel López García. Rethinking immigration policy theory beyond ‘Western liberal democracies’, by Katharina Natter. From discourse to practice: the circulation of norms, ideas and practices of migration management through the implementation of the mobility partnerships in Moldova and Georgia by Martine Brouillette. The editors of Comparative Migration Studies would like to extend their gratitude to all of the researchers who have dedicated their time and expertise to review manuscripts for the journal in 2017. Without the help of the following experts, the quality of this publication would not be possible. 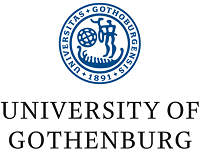 CALL FOR PARTICIPANTS: THE CONFIGURATION OF RELIGION AND RELIGIOUS IDENTITIES IN LOCAL CONTEXTS - Deadline: April 20, 2018. CALL FOR STANDING COMMITTEE COORDINATORS: MIGRATION, CITIZENSHIP AND POLITICAL PARTICIPATION - Deadline: May 15, 2018. MULTIPLE JOB OFFERS (UPDATE) - NCCR - ON THE MOVE - SWITZERLAND.